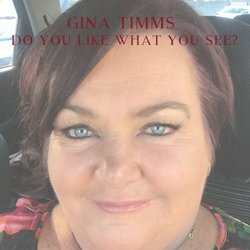 ﻿ Amrap's AirIt | Australian Music Radio Airplay Project :: Country :: Gina Timms - Do You Like What You See? Amrap's AirIt | Australian Music Radio Airplay Project :: Country :: Gina Timms - Do You Like What You See? Attending the Tamworth Country Music Festival for 30 years in a row is quite an accomplishment. Gina Timms is celebrating just that at the 2019 event. “During all the years of performing at the festival, I have met some amazingly talented artists. One of those artists was a very young Nathaniel O’Brien who I first saw perform at the Aristocrat Country Entertainer of the Year as a junior”. A lifelong friendship was formed between Gina and Nathaniel which resulted in the two getting together to do some song writing after the 2014 Burra SA Country Music Festival. Nathaniel discussed with Gina to struggles of bullying and the song, Do You Like What You See is a result of Nathaniel sharing his feelings. At the 2015 Burra Country Music Festival, after performing a moving version of Will the Circle Be Unbroken onstage with Megan Laurie, Gina, Tracey Rains and Juliet Oliver, Nathaniel headed off to a gig and was due to return later that evening to pick up where the song writing left off for Gina and Nathaniel one year earlier. Nathaniel was killed in a car accident that day. He was only 19 at the time of his passing. This is the 5th single to be released off Gina’s 2017 album, Thank You and Gina has been keeping the best until last to honour the friendship and life of her friend, Nathaniel O’Brien. Taken From The Release Titled Do You like What You See?